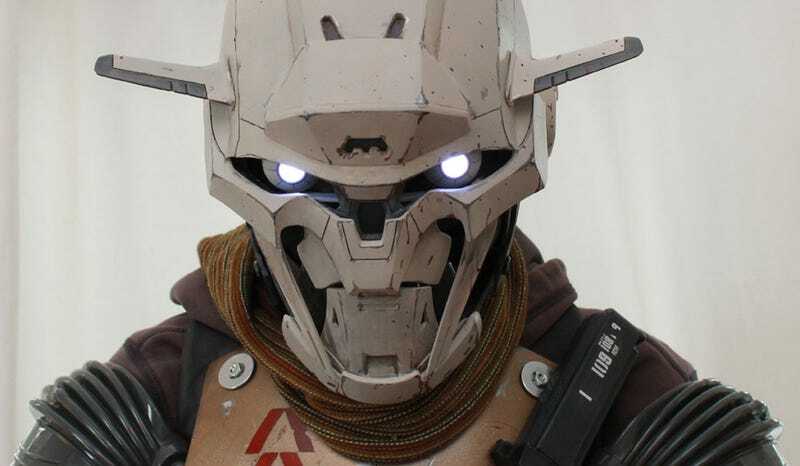 This Destiny outfit really nails the look (and movements) of the game's Exos. Not only does it capture all their mechanical detail, but the mouth moves, as do the eyes (in addition to lighting up!). Cosplayer redner, aka Erik Barclay made it for this year's New York Comic-Con. You can see more pics of it (as well as his awesome custom toy work) at his Deviantart site.